The current wave of flood in Assam has so far claimed 61 lives while another 16 persons were killed in rain-triggered landslides in Kamrup and Dima Hasao districts. Ten persons have been reported missing due to flood that affected 23 of the total of 27 districts in the state, according to an official source here. For the first time in many years, the country's elite counter-terror force NSG has decided to pull out its over 900 commandos rendering VIP security duties and put them to perform specialist counter-terror and counter-hijack operations. Sayed Zabiuddin alias Abu Jundal, handler of the 26/11 Mumbai terror attacks, picked up his “first lessons” in terrorism when Lashkar-e-Toiba terrorist Mohammed Aslam alias Aslam Kashmiri arranged for his arms training in Nepal in 2004. Uttar Pradesh Chief Minister Akhilesh Yadav, who turned 39 today, celebrated his first birthday in office in a low-key manner with his family away from the public glare. Bollywood superstar Salman Khan has launched an online campaign for Sarabjit Singh, an Indian on death row in Pakistan. He is urging people to sign a petition that he plans to give to the Pakistan government in a bid to free Sarabjit. A fire that broke out at the century-old Jubilee Hall here today, shortly after the UPA presidential candidate Pranab Mukherjee addressed a gathering of MPs and MLAs, left the Congress government red faced. Hacker groups have penetrated the sensitive computer networks of the Navy after which an inquiry was launched against naval officers in the Vishakhaptnam-based Eastern Naval Command. The Assam Police today arrested five men in connection with the assault on Rumi Nath (33), Congress MLA from Borkhola, and her second husband Jackey Zakir. Close on the heels of Prime Minister Manmohan Singh’s visit to Myanmar this May, the first by any Indian head of state in 25 years, the Parliament of India is gearing up to help Myanmar’s nascent democracy take root. Days after he claimed terror suspect Zabiuddin Ansari could have mounted a "sting operation" to carry out the Mumbai attacks from Pakistani soil, Pakistan Interior Ministry chief Rehman Malik today demanded that India should apologise for sending Surjeet Singh to spy in Pakistan. Although former Lok Sabha Speaker PA Sangma resigned from the Nationalist Congress Party to run for the Presidency, there is no clarity on his daughter Agatha Sangma’s status who continues as Minister of State for rural development in the UPA government. Apart from big-ticket economic reforms to set the country on the growth path, the PMO is also pushing for improvements in the country’s Targeted Public Distribution System (TPDS) to plug the massive leaks that drain off almost half of the foodgrain intended for the poor. The Prime Minister's Office does not have any information about meetings held between Prime Minister Manmohan Singh and the then Telecom Minister and 2G scam accused A Raja, between August 2007 and July 2008. Army Chief General Bikram Singh today assured ex-servicemen that the Army was sensitive to their needs and that every step would be taken to ensure that they and their families were looked after well. He was addressing a gathering of ex-servicemen at the 21 Sub Area here. Despite its reputation as a leading educational hub in the country, Andhra Pradesh is now caught in a paradox. A problem of plenty is staring at the professional engineering colleges which have mushroomed all over the state. The Gorkha Janmukti Morcha (GJM) has decided to take part in the July 29 Gorkhaland Territorial Administration (GTA) polls, leading to a "happy" West Bengal Chief Minister Mamata Banerjee hoping that peace and development will bring new era in the area. With plans for 60 missions over the next five years, ISRO will develop a third launchpad at its spaceport at Sriharikota in Andhra Pradesh to meet the growing demand. In order to maintain a high standard of efficiency in governance, the Centre has asked all states to review the working of all-India service officers so that non-performing officials could be retired from services. In order to expand the scope of organ transplant and enable more patients to benefit from such procedures, all major military hospitals are being interlinked with the Armed Forces Organ Retrieval and Transplant Authority. The CBI has arrested a general manager of the Ministry of Defence's Canteen Stores Department (CSD) and three others here in an alleged graft case related to promotion of some brands for supplying goods to defence forces' canteens. Two earthquakes of moderate intensity hit northeastern India today. The first measured 4.8 on the Richter scale, with its epicentre located at the Arunachal Pradesh-Tibet border, and occurred an hour after midnight Saturday, the Regional Seismological Centre here told IANS. India is hosting the second meeting of the Inter-governmental Committee for Nagoya Protocol on Access and Benefit Sharing (ABS) - an international treaty adopted under the Convention on Biological Diversity (CBD) at Nagoya, Japan, in 2010 - from Monday. Every four minutes, one person takes his own life in this country and one in every five suicides is that of a housewife. Silver coins, apparently of the British era, kept in a pot buried deep inside the earth were recovered during construction work in a house here, the police said today. A 22-year-old engineering student, who was hit by the official car of a Deputy Commissioner of Police here last month, has succumbed to injuries, a senior police officer said here today. Thirty six Naxals were today apprehended by the CRPF and state police from Vishakhapatnam district of Andhra Pradesh. Prime Minister Manmohan Singh is scheduled to visit the state tomorrow to take stock of the flood situation. The PM is expected to make an aerial survey of the flood scene in the worst affected Majuli river island in Jorhat district, according to the state director of Information and Public Relations, Ranjit Gogoi. The floods have swamped more than 2,166 villages under 113 revenue circles across 23 districts since mid-June, affecting a population of over 19.37 lakh, who had to leave their homes for higher ground. The state is reeling under the worst wave of flood since 1998. “Although the rain has eased since yesterday and the water level in rivers has started receding, the flood situation remains grim,” Assam Agriculture Minister Nilamoni Sen Deka said. About 5 lakh flood-hit people are lodged in 768 relief camps set by state administration. So far, over 2.2 lakh marooned persons have been evacuated by 16 teams of National Disaster Response Force (NDRF), seven teams of Army and 20 teams of State Disaster Response Force. A total of 293 medical teams have been deployed in flood relief operation in the state. Soldiers have been deployed to distribute rice, blankets and drinking water in flood-hit areas. NDRF teams have been deployed in districts of Barpeta, Dhemaji, Dima Hasao, Jorhat, Kamrup (metro), Kamrup, North Lakhimpur, Nagaon, Sivasagar, Sonitpur and Tinsukia. Seven Army teams have been deployed in flood relief and rescue operation in districts of Barpeta, Dhemaji, Dima Hasao, Sivasagar, Sonitpur and Tinsukia. Indian Air Force choppers were used to evacuate some distressed people in remote parts of Dhemaji and Tinsukia districts. The 'black cat' commandos of the National Security Guard (NSG) are segregated into five units, two Special Action Groups (SAGs) manned by officers and jawans from the Army and three SRGs (Special Rangers Groups) comprising personnel from paramilitary forces. While each of the two SAGs (51 and 52) are tasked for counter-terror and counter-hijack operations respectively, the SRGs (11,12 and 13) render logistical support to the SAGs during operations and are deployed for guarding high-risk VIPs/VVIPs. Each unit has about 900 personnel. According to the new blueprint prepared by the commando force under its last Director General Rajan K Medhekar, the 11 SRG will be taken out from its present task and converted into a regular SAG-like unit for undertaking specific counter-terror operations. New NSG chief Subhash Joshi has also put his officers on job to accomplish the task. Sources privy to the development said the contingency force, with 15 VIPs/VVIPs under its security cover at present, has the lowest number of protectees after many years and the force decided to use this opportunity to return to its original charter of performing counter-terror, counter-hijack, hostage rescue and sky-marshalling duties onboard aircrafts. "Two SRGs are enough for catering to the present number of protectees," they said. NSG was raised under an Act of the Parliament in 1984 as a federal contingency force. The commandos of the SRG unit will now be given extensive training in counter-terror operations by the Force Commander and IG (Training), both Brigadier and Major General rank officials of the NSG based at its garrison at Manesar in Gurgaon near here. The plan, according to sources, is to raise this squad by next year and once the training is done the commandos of this new unit would only perform combat-terror operations. "Considering NSG's expansion to the new hubs and keeping in mind the emerging trends in terrorism, the force needs more strength of commandos to undertake counter-terror operations," a senior NSG official said. Claiming to be indoctrinated after the post-Godhra riots in Gujarat in 2002, 30-year-old Jundal told interrogators that he was introduced to ‘Jehad’ by Aslam Kashmiri, a resident of Hasplote in Thanamandi of Rajouri in Jammu region. According to his interrogation report submitted to the Ministry of Home Affairs, Zabiuddin said four youths from Maharashtra and Gujarat were handed over to Aslam Kashmiri for exfiltration through Poonch region in 2004, but they were killed by Army. Official sources today said Aslam Kashmiri again approached Zabiuddin and Fayaz Kagzi and asked them to accompany him for arms training, but the killing of four youths had raised doubts that he could have been working for Army. This prompted Aslam Kashmiri to put them through to LeT high command in Pakistan on phone as proof that he was working for the terror group, Zabiuddin told his interrogators. After this, Zabiuddin, a resident of Beed in Maharashtra, along with four others, left for Nepal, where they received training in arms and manufacture of Improvised Explosive Devices (IED). Upon his return, Zabiuddin engaged in brainwashing more youths for spreading the terror network in the hinterland, the sources said. Perhaps nothing brings out the contrast in styles of functioning of Akhilesh and former Chief Minister Mayawati than the way in which they celebrate their birthdays. BSP supremo Mayawati’s brithdays on January 15 were always high-profile public affairs marked by grand functions either organised by the party when out of power or by the government when in power. On this day, during her recent tenure, she symbolically inaugurated or laid the foundation stones of government projects costing thousands of crores. Her birthday bashes always raised controversies as she allegedly set targets for party workers and bureaucrats to forcibly collect huge sums of money to present on her birthday. The murder of PWD engineer Manoj Gupta in Aurriaya in 2008 by a BSP MLA after Gupta refused to donate money brought this practice out in the open. Her birthday was also the rare occasion when she wore pink, flaunted her enviable collection of diamonds and cut huge cakes in public where party workers, ministers and officials vied with each other to greet her on the occasion. In sharp contrast, Chief Minister Akhilesh Yadav’s first birthday in office saw no such fanfare today. “There would be no official function on the occasion as Akhilesh wants to celebrate the day with his family members,” said Samajwadi Party spokesperson Rajendra Choudhury. For the Chief Minister, it was like any other day when he did his routine work. Despite it being a Sunday, Akhilesh reached his office at the official residence 5, Kalidas Marg, in morning. Hundreds of fans of the country’s youngest Chief Minister have wished him on Facebook. Akhil Bharatiya Udyog Vypar Mandal today celebrated the occasion as 'Vijay Sankalkp Diwas' by distributing 40 kg ‘laddus’ near Hanuman Temple in the Hazratganj area. Akhilesh is likely to meet some leaders of the party, besides some senior officials and accept their wishes. “For over 20 years, Sarabjit Singh is in a Pakistan prison for a crime he did not commit. He and his family have suffered for too long. Please sign this petition to appeal to the Pakistan government that he be freed and united with his family in Punjab,” Salman posted on beinghumanonline.com. Being Human, owned by the star, is an organisation that helps in spreading education and healthcare to under-privileged. The 46-year-old launched the online petition Friday. Though there were no casualties in the fire that broke out at the stationery room of the state-owned complex minutes after the dignitaries left the venue, the mishap caused a major embarrassment to the government. Mukherjee, who was here as part of a nation-wide tour to mobilise support for his candidature, addressed a meeting of the Congress Legislature Party at Jubilee Hall, located at a stone’s throw from the Legislative Assembly and Council buildings. Also present on the occasion were the Chief Minister N Kiran Kumar Reddy, his Cabinet colleagues and the party MPs. UPA from outside like the SP, the BSP, I thank them and those who have extended support to me as presidential nominee, like the Shiv Sena, I have thanked them as well." Accompanied by Union ministers Ghulam Nabi Azad and Vayalar Ravi, he arrived here by a special flight. A protest by a small group of pro-Telangana activists greeted Mukherjee outside the Begumpet airport. Raising slogans of 'Jai Telangana', the protesters tried to stop his convoy but police foiled their attempt. They wanted Mukherjee to spell out his stand on the demand for carving out a separate Telangana state. The Hyderabad MP Asaduddin Owasi, whose Majlis-e-Ittehadul Muslimeen (MIM) is supporting the UPA choice for the President’s post, met Mukherjee. The main Opposition Telugu Desam Party, YSR Congress Party and Telangana Rashtra Samithi are yet to spell out their stand on which way to vote in the presidential race. Minutes after Mukherjee left the venue, the fire broke out and a cloud of smoke billowed out into the sky, causing panic in the area. It took a while for the fire tenders to arrive. The legislators and ministers, along with their supporting staff, were seen rushing out of the building. The main Opposition Telugu Desam Party, YSR Congress Party and Telangana Rashtra Samithi are yet to spell out their stand on which way to vote in the presidential race. Around seven months back, a Board of Inquiry (BoI) was ordered against some officers in the Eastern Command after it was found that some of the computer systems were bugged and had been penetrated by hacker groups, Navy officials said. They said the BoI has now completed its investigations and has sent its findings to the Navy Headquarters which will take a decision on the action to be taken regarding these officers on the basis of the BoI recommendations. Some data has also been lost and efforts are on to find out the extent to which vital information was compromised due to these bugs, officials said. They said the bugs were detected during checks carried out by naval cyber security teams. However, a Navy spokesperson said the case has got no connection with the INS Arihant as it is a totally separate project and has no connection with the Eastern naval command. This is the second such case of IT security breach which has come to light this year in the Navy as another BoI had recommended action against four senior officers for allegedly possessing and leaking classified information through social networking sites. Four officers from the technical branch were tried by the BoI for allegedly possessing classified information on their personal computers. The couple was severely assaulted and injured by a mob inside their hotel room at Karimganj town in southern Assam on Friday night. The couple had checked into the hotel after the MLA returned from visiting flood-hit people in her constituency. The police managed to rescue the injured couple and rushed them safely to Guwahati after providing them medical treatment. Meanwhile, prohibitory orders under Section 144 have been clamped in Karimganj that remains tense after the incident. The mob was angry at the second marriage of Rumi to Zakir last month, police sources said. Rumi had married Zakir without divorcing her first husband. Rumi, who is pregnant, has demanded a high-level inquiry into the incident of assault. She said nobody had the right to break the law. She said there was an attempt to outrage her modesty during the mob attack. Beginning July 2, a delegation of 10 Myanmarese parliamentarians will arrive in the National Capital for five days to take lessons in democratic practices from the Lok Sabha Secretariat. The visit follows another one in June by officials of the Myanmar Parliament, which is looking different since April this year after pro-democracy dissident leader Aung San Suu Kyi’s National League for Democracy re-entered the political arena with a landslide win. With a real Opposition Party at the helm now, Myanmar’s 664-member Parliament is looking to strengthen parliamentary practices to bring maturity to the fledgling democracy. “The presence of a strong Opposition party in Myanmarese Parliament offers real hope for substantive political reform. But for that to happen, democratic procedures have to be strengthened. That’s where we are pitching in with support from the Ministry of External Affairs,” top LS officials said. During the programme, visiting Myanmar MPs would interact with senior parliamentarians and officers from India on issues involving legislative processes, question hour, holding the executive responsible to the legislature and budgetary processes, committee systems and parliamentary privileges. They will also witness functioning of the Delhi Vidhan Sabha, Election Commission and other constitutional bodies. A parliamentary delegation from Myanmar led by the Myanmarese Speaker had visited India last December and met Lok Sabha Speaker Meira Kumar. The support programme also draws from the PM’s commitment to help in the capacity-building of its MPs and officials in parliamentary practices and procedures during his recent visit to Myanmar. Malik made the demand while addressing a news conference in London. 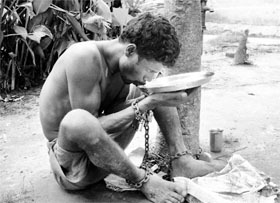 Though Surjeet was awarded the death sentence for spying, it was commuted by the Pakistani President in 1989. He was imprisoned for nearly three decades. During the news conference, Malik also rejected the assertion by Indian officials, including Home Minister P Chidambaram, that terrorist handlers had set up a control room in Karachi for the 2008 Mumbai attacks. He contended that three Indian citizens, including Ansari, alias Abu Jundal, were involved in the attacks. Although former Lok Sabha Speaker PA Sangma resigned from the Nationalist Congress Party to run for the Presidency, there is no clarity on his daughter Agatha Sangma’s status who continues as Minister of State for rural development in the UPA government. The NCP had declared it would pull her out of the government if she campaigned for her father against the UPA official candidate Pranab Mukherjee. Agatha was intially spotted alongside her father seeking support for him but was absent when Sangma filed his nomination papers last week. However, all the correspondence and emails detailing Sangma’s schedule are being sent from Agatha’s official email address. This has raised questions about the misuse of the government machinery but the NCP and the Congress are looking the other way as the leadership of both parties is known to be indulgent towards Agatha. Besides, they do not want to send out any negative signals to the North-East by ousting her. Back to Sir ji again? Well after Manmohan Singh took over as Prime Minister in 2004, he would inadvertently address his senior Cabinet colleague Pranab Mukherjee as Sir. This was attributed to an old habit as Manmohan Singh was the RBI governor during Mukherjee’s first stint as Finance Minister in the early eighties. In fact, several Union ministers have disclosed that an embarrassed Mukherjee would often tick off the PM for calling him Sir and it was after much coaxing that Manmohan Singh started referring to him as Pranab babu or Pranabji. However, this may well change once Mukherjee takes residence at Rashtrapati Bhavan as the country’s 13th President later this month. The Prime Minister can then go back to addressing him as Sir again and Pranab Mukherjee may no longer raise any objection to it. Now that Prime Minister Manmohan Singh has taken charge of the finance portfolio after Pranab Mukherjee’s resignation, there is palpable tension in North Block, which houses the Finance Ministry. The Prime Minister’s Office has got down to the task of tackling the current economic crisis almost immediately as important files are being sent for amidst speculation that several controversial decisions taken by Mukherjee could be reversed. There is another reason for the discomfiture in the ministry as there is a reordering of old equations. According to the official grapevine, finance secretary RS Gujral and economic affairs secretary R Gopalan, who were known for their proximity to Mukherjee, have been looking worried as they fear that their pre-eminent position in the ministry may be undermined. On the other hand, the PMO is expected to rely more on the services of expenditure secretary Sumit Bose, who was not in the power circuit during Mukherjee’s regime. Officials said that Prime Minister’s Principal Secretary Pulok Chatterjee would on Tuesday assess steps being taken to improve the food distribution network, including end-to-end computerisation and use of GPS for monitoring truck movements apart from SMS service and smart cards for beneficiaries. Though there are no official figures on the quantity of foodgrain that is siphoned off in the convoluted PDS chain stretching between FCI godowns and consumers, officials said that more than 40 per cent of subsidised grain does not reach the targeted beneficiaries. Therefore, they said that before the Congress president Sonia Gandhi-driven National Food Security Bill becomes a reality, the country should have an effective distribution system in place. “India already has a foodgrain programme for the poor. So the question should really not be about the quantity or the number of people who get the subsidised grain. It should be about ensuring a fool-proof delivery system,” they explained. Food Minister KV Thomas, in fact, told Parliament that 2.21 crore bogus ration cards had been detected and deleted from the list of beneficiaries for subsidised foodgrain by different states since 2006 with West Bengal, Maharashtra and Andhra Pradesh leading the pack. While some reforms like GPS tracking of trucks has already started in some places, the government is also examining proposals by states like Bihar, Delhi, Haryana and Uttar Pradesh for direct disbursement of food subsidy in cash to BPL/AAY families. Replying to an RTI application filed by one Deepak Saluja in this regard, the top office has passed the buck to Special Protection Group, an exempted organisation under the RTI Act, for furnishing details of the meetings. The SPG which is exempted from making any disclosure under the RTI Act except those related to allegations of human rights violation and corruption has refused to furnish the information citing the exemption clause. The PMO also transferred the application to Department of Telecommunication to provide the information but it was also sent back with Director (coordination) stating that it was PMO to answer the application. After SPG and DOT refused to furnish the information, PMO cited another exemption clause related to national security to deny the information saying "it has been consistent stand not to reveal details of appointment." Following the refusal to furnish the information, Saluja approached the Central Information Commission with a plea that information be made available to them. A Bench of M L Sharma and Deepak Sandhu heard the matter where the PMO official Sanjukta Ray stated that it has no records related to meetings of A Raja with the Prime Minister however it was quite possible that SPG may be having those records. Following the arguments, CIC has issued notices to Central Public Information Officer of the SPG to present his case before the Bench in detail. 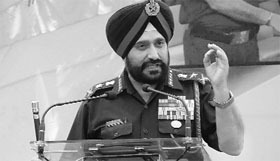 The General, accompanied by his wife Bubbles Singh, flew in from the Yol Army base, near Dharamsala, by a chopper and was accorded a warm welcome by senior Army and civil administration officers. He said addressing the problems of ex-servicemen would his priority. He asked them to bring their grievances to his notice through their respective Sainik Welfare Boards. Brig Kuldeep Singh (retd) read out the grievances being faced by ex-servicemen to which the Army Chief replied that he would work on a priority basis to get them resolved. “The sacrifices made by these heroes will continue to inspire the present and future generations and would also motivate a large number of youngsters to serve our motherland,” he said. However, the Army Chief steered away from controversial “one rank, one pension” issue. “I will try my level best to get the issue resolved at the earliest,” he said. The organisers had set up several stalls to assist former Army personnel on issues pertaining to pension, housing, insurance and recruitment. The Chief of the Army Staff honoured Param Vir Chakra and Maha Vir Chakra awardees. Monetary assistance was also given to their families. A whopping 1.50 lakh engineering seats are set to go vacant this year following a glut in the education bazaar. As against 3.21 lakh seats available in 667 engineering colleges, only 2.07 lakh students have qualified the common entrance examination for admission in the undergraduate courses in engineering and medicine across the state. As many as 2.83 lakh students had taken the engineering examination. The pass percentage stood at 73.18, registering 9 per cent drop as compared to the last year, Deputy Chief Minister Damodar Rajanarsimha, who holds the higher education portfolio, said. Not long ago, a string of professional colleges dotting the state capital and other cities were hot destinations for students seeking a wide array of undergraduate courses covering engineering, medicine, pharmacy and computer sciences. However, the scenario has changed dramatically. Several private engineering colleges are now facing the risk of closure following poor response from students. During the academic year 2011-12, more than one lakh seats remained vacant as there were no takers. Over 256 colleges had reported less than 100 admissions, indicating a sharp decline in demand among the students for engineering courses in these colleges. A combination of factors has led to this glut. Indiscriminate sanction of colleges in private sector, poor infrastructure, faculty and falling standards in the new colleges are among the factors that contributed to the declining demand. The political unrest over Telangana statehood issue has further compounded the problem. There has been a large- scale migration of students to neighbouring states of Karnataka and Tamil Nadu to pursue professional education. Several engineering colleges are on the verge of closure due to the drastic fall in admissions. According to the All India Institute of Technical Education (AICTE), out of 143 technical institutes from 14 states which have applied for permission to close down, 56 are from Andhra Pradesh. "We have about 500 engineering colleges in the state which do not have proper infrastructure and faculty, though they may have good buildings. All such colleges will have to close down," an official of the education department said. According to a NASSCOM study, Andhra Pradesh has been producing only five to eight per cent of "employable engineering graduates" every year as against the national average of 25 per cent. The GJM decided to participate in the GTA polls at its core committee meeting here in this northern Bengal hill resort yesterday. "We will contest all the 45 seats of the GTA. Our president Bimal Gurung will finalise the candidates," GJM general secretary Roshan Giri told reporters. Gurung has also been requested to be a candidate in the polls, but he has sought time to decide. "Today is a very happy day for all of us, as my brothers and sisters of Darjeeling have decided to participate in the democratic process of election next month. Truly Darjeeling is now smiling. Peace, development and Prosperity will bring new era in Darjeeling. On this happy occasion I congratulate all my brothers and sisters of Darjeeling," Banerjee posted on her Facebook page. North Bengal Affairs Minister Gautam Deb also welcomed the GJM's decision. Nominations for the polls to the GTA - the proposed new development agency in the northern hills of West Bengal - can be filed till July 9, according to a state government notification. The three picturesque Darjeeling hill subdivisions of Darjeeling, Kurseyong and Kalimpong have been on the boil for nearly three decades due to anti-government protests over the Gorkhaland demand. The hills had witnessed killings, police crackdowns and long shutdowns which severely impacted the hills' economic mainstays - tea, timber and tourism. On July 18 last year, a tripartite agreement was signed between the GJM, and the state and central governments for setting up a new autonomous, elected GTA, a hill council armed with more powers than its predecessor - the Darjeeling Gorkha Hill Council (DGHC) formed in the late 1980s. "We are planning to have a third launchpad at Sriharikota to cater to our future missions," Indian Space Research Organisation (ISRO) Chairman K Radhakrishnan told PTI. He said the new launchpad would help ISRO augment the frequency of missions, which was necessary to meet its ambitious targets. "We plan to launch 24 missions over the next 24 months, which include our communication satellites and some foreign payloads," he said, adding that over a five year period, the space agency has plans to launch 60 missions. The new pad could also be used for launching Geosynchronous Satellite Launch Vehicle Mark III (GSLV Mk-III) carrying heavier satellites as also by the reusable launch vehicle, India's own version of a space shuttle. It will include construction of a new vehicle assembly building, mobile pedestals, umbilical towers, emergency exits, ground escape system, crew ingress and egress systems, safety bunkers, material handling equipment and related electrical systems. It is part of ISRO's plan is to develop dedicated 'Space Park' next to the space port at Sriharikota. The new missions are necessary as there have been demands in the international market for ISRO's Polar Satellite Launch Vehicle to launch foreign satellites. As ISRO starts building a launch vehicle for its mission, a launchpad gets blocked for nearly two months till the launch of a satellite. With ISRO setting a target of 24 missions in 24 months, more launchpads become a necessity. Besides communications satellites, ISRO also has plans to launch Chandrayaan-II, the sequel to its successful moon mission, launch a satellite to study the Sun, send a probe to Mars and undertake a human spaceflight. The Department of Personnel and Training, in a missive, has asked for the review of Indian Administrative Service (IAS), Indian Police Service (IPS) and Indian Forest Service (IFS) officers, who have completed at least 15 years of service. "A member of the all-India service who has completed 15 years of qualifying service or has completed 25 years of qualifying service or attained the age of 50 years will, invariably, be found to occupy a senior administrative post. "It would not be acceptable to find that such a member has become a mere passenger in the senior level in which he or she is placed. One must always guard against the operation of the 'Peter Principle'," Dr S K Sarkar, Additional Secretary in the DoPT, said. The 'Peter Principle', coined by psychologist Laurence J Peter and Raymond Hull in 1969, is a belief that in an organisation where promotion is based on achievement, success, and merit, the employees there will eventually be promoted beyond their level of ability. In common parlance, the principle is also phrased as "employees tend to rise to their level of incompetence". In January, the Centre had amended Rule 16 (3) of all-India services rule which allowed a performance review only after completion of 30 years of qualifying service. The new rules gives powers to the government to give retirement to these officers in "public interest" after at least 15 years in the job. The government can again carry out such review after the officer completes 25 years of service or attains the age of 50 years. It is sometimes found that a few members of the all-India services tend to become mere "passengers" in the post or at the level in which a member is placed for the time being, the directive said.The DoPT also raised doubts on the efficiency of officers where the overall grade or assessment were mentioned as "average" in the Annual Confidential Report or Performance Appraisal Report. "To describe a member of an all-India service as average is not complimentary. While it may not be an adverse remark, it is nevertheless a reflection upon his work or conduct and should be taken to indicate output, which is ordinary and routine," the DoPT said in its circular issued to all Chief Secretaries of the states and Union Territories. It said that remarks like 'Adequate' and 'Satisfactory' over a period of 5-7 years, without mention of any notable achievement, would also indicate that the member has reached a plateau. "Similarly, it is found that in some cases, a member of an all-India service receives a lukewarm or equivocal certificate of integrity. Such an entry would indicate that there is some doubt in the mind of the reporting or reviewing authority about the integrity of the member. "In all such cases, it would be quite appropriate for the government to examine the matter thoroughly in order to decide whether action under Rule 16(3) of AIS (DCRB) Rules, 1958 would be warranted," it said. Additionally, there may be officers who may have completed 16 years or more of qualifying service but their review was not carried out as the rule has been amended recently. In order to expand the scope of organ transplant and enable more patients to benefit from such procedures, all major military hospitals are being interlinked with the Armed Forces Organ Retrieval and Transplant Authority. This would enable other hospitals to harvest organs from donors instead of just a handful of centres that have the facility to perform the transplants. The Armed Forces Organ Retrieval and Transplant Authority co-ordinates organ donation in the military. Interlinking hospitals is among several new measures being initiated by the Armed Forces Medical Services to give an impetus to transplant procedures within the services. While there is a large number of Army, Navy and Air Force hospitals spread across India, there are just five military centres for kidney transplants and one for liver and heart, which cater to the requirement of Armed Forces personnel and their dependents. Patients from across the country who require transplants are referred to these centres. At present, barring a couple of exceptions, organs for transplant are harvested from donors admitted to the five transplant centres, which may result in non-availability of transplantable organs at times and leading to a long waiting list and a lengthy waiting period. Army sources said the scope of organ transplant within the services was considerable, given the large number of military personnel, their dependents as well as greatly increased exposure of troops to adverse climatic and operational conditions. The Army recently introduced liver transplant surgery and now plans to go in for lung, intestinal and pancreatic transplants, which would require a large donor base. The CBI sources said they have arrested Joint General Manager Bikas Ranjan Daschaudhary, who holds a rank equivalent to a Brigadier, Milind Govilkar of private firm Sankalp Consumer Products Limited and two others in the alleged graft case. The case was registered on the information that Sankalp Consumers Products Pvt Ltd allegedly acted as the marketing arm and representative of number of companies in an unauthorised manner against the policy laid down by CSD, they said. Sankalp through Govilkar and officials of the CSD allegedly entered into criminal conspiracy and manipulated various demands of CSD items in favour of the clients of Sankalp, the sources said. They said the company was allegedly favoured by CSD officials at various stages in CSD such as introduction of items, price revision, delayed and excess supply, demand creation, budget allocation etc. Such favours were allegedly extended in lieu of huge illegal gratifications to CSD officials. Eight hours later, another quake, measuring 5.8 on the Richter scale, jolted the region. Its epicentre lay in Phek district of Nagaland. The protocol provides a transparent legal framework for effective implementation of one of the three objectives of the CBD: fair and equitable sharing of benefits arising out of utilisation of genetic resources. It aims at sharing the benefits arising from utilisation of genetic resources in a fair and equitable way, including by appropriate access to genetic resources and by appropriate transfer of relevant technologies, taking into account all rights over those resources and to technologies. It applies to genetic resources that are covered by the CBD, and to the benefits arising from their utilisation. The Nagoya protocol also covers traditional knowledge associated with genetic resources that are covered by the CBD and the benefits arising from its utilisation. Nearly 600 delegates from countries across the world representing governments, academia, UN bodies, civil society organisations, and indigenous and local communities will attend the meeting. Issues like capacity-building of developing countries for implementation of the protocol, awareness raising, procedures and mechanism to promote compliance with the protocol and global multilateral benefit sharing mechanism will be discussed at the meeting. In its first meeting held in June last year, India was elected as one of the two bureau members to represent Asia Pacific region. The Nagoya protocol has been signed by 92 countries, and as on date ratified by five countries. India signed the protocol on May last year, and is in the process of completing inter-ministerial consultations necessary for ratifying the protocol. The Nagoya protocol is expected to create greater legal certainty and transparency for both providers and users of genetic resources by establishing more predictable conditions for access to genetic resources and helping to ensure benefit-sharing when genetic resources leave the contracting party providing the genetic resources. This and other startling figures are part of a government report ‘Accidental Deaths and Suicides in India 2011’ released here recently. According to the report, the number of suicides has increased in 2011 by 0.7 per cent to touch 1,35,585, compared to 1,34,599 in the previous year. West Bengal has reported the highest number of suicides (16,492) accounting for 12.2 per cent, followed by Tamil Nadu (15,963), Maharashtra (15,947), Andhra Pradesh (15,077) and Karnataka (12,622). These five states together accounted for 56.2 per cent of the suicides reported in the country. “West Bengal reported the highest number of suicide victims in 2009, second highest in 2010 and the highest in 2011. Southern states Andhra Pradesh, Karnataka, Kerala and Tamil Nadu as also Maharashtra have together accounted for 50.2 per cent of suicides reported in the country,” the report said. Bengaluru (1,717), Chennai (2,438), Delhi (1,385) and Mumbai (1,162) have together reported almost 36.7% of the suicides reported from 53 mega cities. “It has been observed that social and economic causes have led most of the males to commit suicides whereas emotional and personal causes have mainly driven females to end their lives,” the report said. The coins were seized by police even as the family, which owned the land where the pot was found hidden, said these were their ancestral wealth. The pot full of silver coins was found late last night in Kareli locality when workers were digging the courtyard of a house, the police said. Kareli Police Station in-charge Anoop Srivastava said an anonymous caller informed police about the recovery. DCP (Jaipur East) Satyaveer Singh's official car, driven by constable Indraj Singh, hit Vikram Singh in the Malvia Nagar area on June 22 injuring him, DCP (Traffic) Lata Manoj Kumar said. The youth succumbed to his injuries yesterday, she said. Constable Indraj Singh, who was behind the wheel, had been arrested and released on bail, the DCP (Traffic) said. "Vikram Singh got injured in the accident on June 22 and succumbed to his injuries yesterday. The car was seized and investigations were launched," she said. "The mechanical examination of the car was conducted and the driver was arrested today," the DCP (Traffic) said. Asked whether the DCP (East) was in the car when the accident took place, she said it was being ascertained. "It is being investigated whether the officer was present in the vehicle or not at the time of the accident. Among those nabbed is top Naxal commander Lambayya who carries a reward of Rs 30,000 on his head.